Take the whole house approach to learn how the systems in your home can work together to provide the most comfortable, efficient living space. 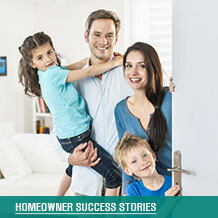 With expert help from Home Performance with ENERGY STAR, you’ll get the home you deserve. Start with a home performance assessment to understand your home’s condition and energy performance. Get building science recommendations for home improvements and choose your projects. Feel the difference of a home with more. More ENERGY STAR.